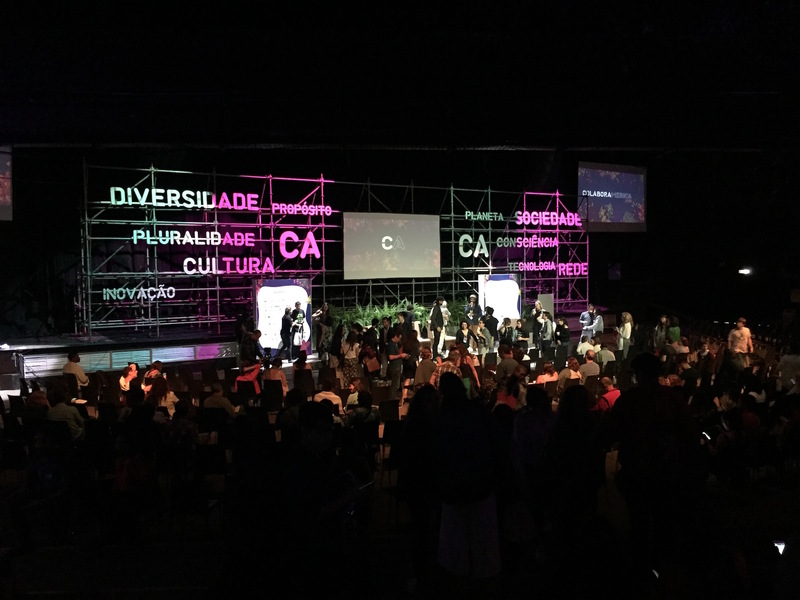 On November 9 and 10, Fundição Progresso in downtown Rio teemed with an air of innovation, transformation, and social justice. 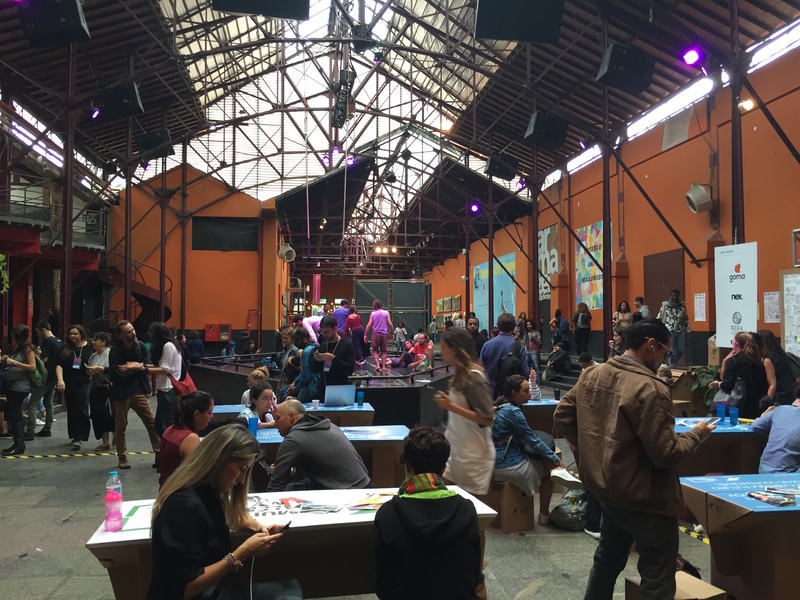 The cultural center in Lapa hosted the ColaborAmérica conference, an event focused on showcasing the “new economies” of Latin America in order to rethink ways of creating positive impact and promoting inclusivity. This year’s theme was “Looking at the Whole” to explore the world’s vast interconnectedness and address problems from a holistic point of view. Approximately 10,000 were in attendance. 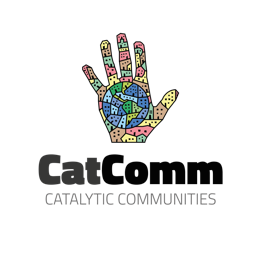 Among the 120 speakers from more than seventeen different countries was Theresa Williamson, founder and executive director of Catalytic Communities* (CatComm). 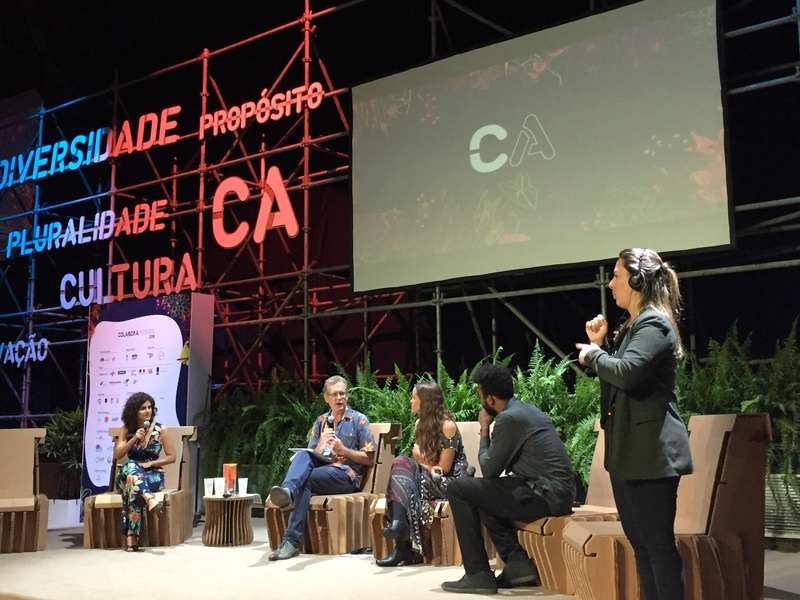 A longtime advocate for Rio de Janeiro’s favelas, Williamson participated in a panel entitled “Innovation for the Common Good,” alongside Ashoka Finley from ConsenSys, a software company based in New York, and Jonathan Dawson, a senior lecturer at Schumacher College in the United Kingdom. Williamson presented CatComm’s work toward supporting the development of Favela Community Land Trusts (CLTs). As Williamson explained, the Favela CLT model guarantees a greater degree of land tenure security for communities by granting favela residents permanent collective ownership of the land, while providing them with individual titles to their homes which can be bought and sold, ensuring permanent affordability while allowing residents to invest in their homes, and equipping residents with a robust defense mechanism to guard against gentrification and eviction. Williamson also compared the CLT model to individual land titling in favelas, emphasizing how individual titles can pulverize favelas’ greatest asset–their collective social fabric–by shifting a community’s underlying logic structure when inserting communities into the speculative real estate market. Favela CLTs, however, allow communities to preserve the qualities they have developed through informal community-building (solidarity networks, organic architecture, community-controlled development, affordability, etc. 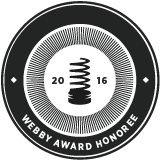 ), within the formalizing structure of the CLT. Collective ownership of the land also means that residents have greater bargaining power to pressure the public sector for improvements. A Favela CLT can become, as occurred in San Juan, Puerto Rico, one of the largest land owners in a city, as opposed to how owners of small individual parcels of land are treated by the authorities. 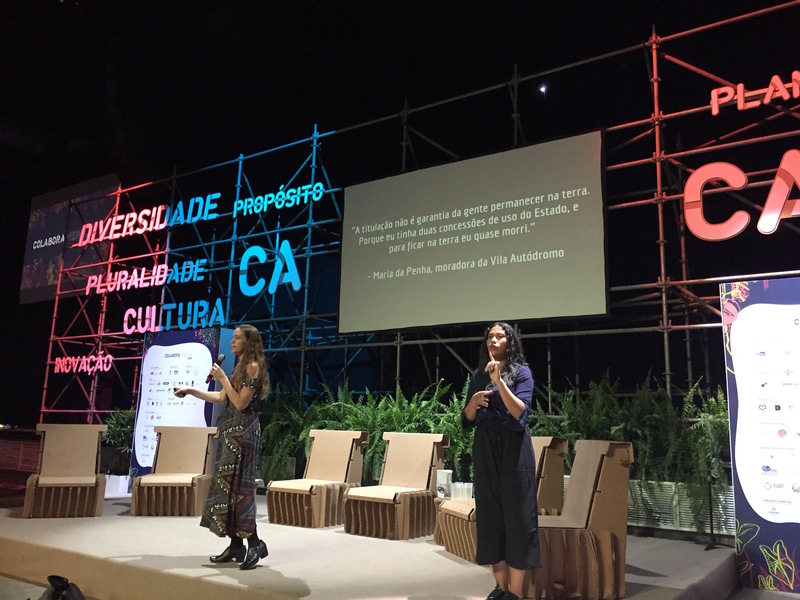 When asked what sorts of criticisms of CLTs she has heard from favela residents as her organization works to introduce and debate the model in Rio, Williamson responded: “The truth is that we haven’t had the kind of questioning that we thought we would get. One of our partners is the Observatório de Favelas and they say that this is a ‘seaming instrument’. It’s as if it’s the missing tool that brings together a lot of different elements we already know work.” She noted that among the dozens of favela organizers visited during workshops in August with members of the successful Caño Martín Peña CLT in Puerto Rico, and those involved in the Favela CLT Working Group recently established in Rio, the focus of questions tends to be about the technical logistics of establishing a CLT and how to mobilize the community around it. There appears to be a general acknowledgement of the potential of the overall instrument to address land insecurity in Rio, she says. Ashoka Finley, Chief Anarchy Officer of ConsenSys, also touched on the topic of community land titling for favelas but from a blockchain approach. Finley is a software engineer and user experience designer and works at ConsenSys, using blockchain technology to design new social and economic institutions. According to Finley, blockchain software has the power to design institutions that are better equipped to address present and future challenges, particularly those of institutions that rely on trust as a key feature of their operation (such as banking, voting, etc.). Finley’s presentation questioned the tragedy of the commons and discussed the use of blockchain technology to govern the commons in ways that allow communities to exercise ownership over their territories, establish rules for coexistence, and hold all those involved accountable. During the final segment of the panel, Jonathan Dawson, a sustainability educator, challenged traditional economic and social impact tenets. “How do we make collective decisions to maximize the common good?” he rhetorically asked the audience. “We need to be able to build an economy using public wealth and private restraint.” Dawson criticized the development of sustainability goals through the lens of growth, suggesting a paradox between the two concepts in a world of strained ecosystems. This article was written by Jorge Sanchez Garcia, and published on November 16, 2018.